In its 5th edition, the country’s biggest decor celebration India Design ID 2017 will present a curated experience for every arbiter of design and architecture. Fuelled by a collective quest to make design accessible to everyone, the event is spread over four verticals – ID Exhibit, ID Symposium, ID Satellite and ID Talks. For the uninitiated, here’s our edit of things you must do on the NSIC fair grounds, New Delhi. ID Exhibit is a four-day long expo that showcases the finest in home decor and design. With a good mix of over 100 established and upcoming designers and brands unveiling new designs and collections, it is the definitive platform to sense the pulse of evolving trends and creativity. 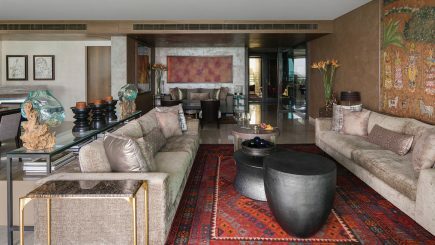 The platform will host an exhibition of brands across categories like furnishings, furniture, table tops, kitchen, and fabrics will display wares from their latest collections. For the list of exhibitors, click here. A three-day action packed event that forms part of India Design ID from 16-18 February, ID Symposium will offer a great platform for panel discussions, interactive sessions, debates and dialogues centered around design. Expect to find noted architects, design luminaries and creative professionals from India and around the globe, sharing ideas, knowledge and their experiences. Click here to buy your delegate pass. Precursor event that kicks off the design week, ID Satellite poses as the comprehensive guide of the hottest design destinations you need to hit for various offers, discounts and events. Click here to know the participating stores. Thought leaders and game changers from the field of design and architecture from India and across the world are part of this digital video based chats to rapt audiences with their expertise and knowledge. Presented every year, ColourNext is a collection of shades that represents changing trends in the country. The colours are developed after extensive research and inputs by various experts and sociologists and aims to capture the mood of the country. Head to the Trends pavilion from 16 February to experience these in a grand conceptual showcase. The Trends gallery will convene exhibitors from across verticals, who will forecast styles, prints and patterns for the upcoming seasons. Also, watch out for ED’s cover wall that celebrates 16 years since the magazine’s inception. The winning entries from EDIDA and Park Students Contest 2017 are given place of pride each year. While EDIDA in association with Sunil Sethi Design Alliance recognises talent across the design industry, The Park ELLE DECOR Student Contest held in association with The Park Hotels give product and design students a chance to impress the world with their creativity. Going a few notches up, this year Asian Paints will conduct five workshops at the fair grounds. On 16 February, a workshop – Prints at Play – on how to get prints and patterns into your interiors will be host by The Pure Concept. Masterclass on Dip Dye DIY by Nilaya by Asian Paints will be held on 17 February for those who would like to learn how to create Shibori designs. On the same day, Nicobar will host Tablescapes to create stylish table settings. 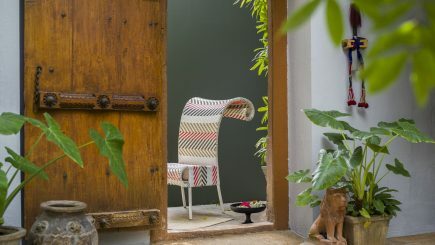 On 18 February, Iqrup+Ritz will conduct Craftin Corners – a workshop on creating cosy corners. 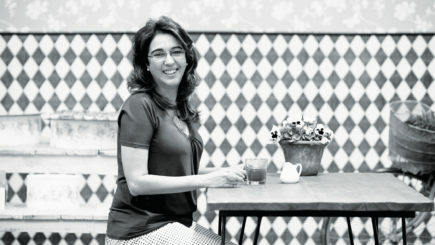 Last day, 19 February will convene a masterclass on Living Room Love by Gulmohar Lane to learn how to style living rooms. While the event will present food for thought, you can also replenish your body with several food and beverage options such as Brown Sugar, Dunkin’ Donuts and many more. Pop-ups by No-Mad 97% India by Valerie Barkowski in association with The Park Hotels among many more will also help tickle your tastebuds. Artists will be invited to put up special installations across the fairgrounds. Have a fun time spotting and interacting with this year’s interesting setups that include Design Partners’ MOFA and Cutting Creations’ humungous installation, The Pure Concept, Kanika Bawa Design, Knock on Wood, Asian Paints Royale Play International Design Collection and Mukul Goyal.